Celebrate Mardi Gras! Texas Style with a Country Music Festival on Friday, February 8th at Beach Central Park located at 21st and the Seawall. 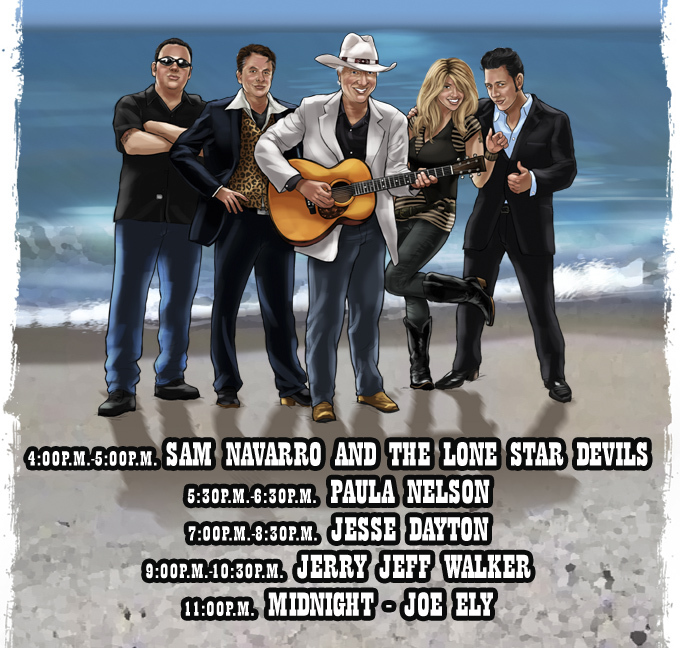 The entertainment line up will include Sam Navarro and The Lone Star Devils, Paula Nelson, Jesse Dayton, Jerry Jeff Walker, and Joe Ely. Tickets are just $30 in advance and $40 at the gate. Feb 1, 2013 - VIP is sold out! But you can still purchase General Admission tickets. February 7 - Online tickets sales will close Feb. 7th at midnight CST. General Admission tickets will be available at the gate for $40. VIP is sold out. © 2019 Houston Press, LLC All rights reserved.